Hakim Khatib is a political scientist specialising in ideology, its role in the interplay of power in social life and religion, and its relationship to contemporary politics in West Asia and North Africa, especially Egypt and Syria. Hakim works as a lecturer in political science and journalism at different German universities such as Fulda University of Applied Sciences, and Philipps University in Marburg, Germany. He has published over 100 articles, academic and otherwise, in different languages in a wide spectrum of on-line and printed newspapers, journals and think tanks. 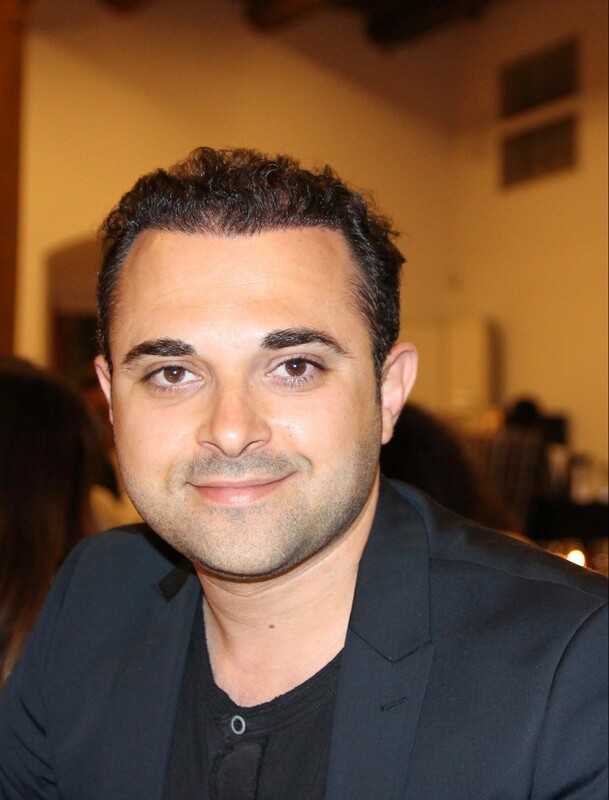 Hakim is also an associate research fellow at the Kurdistan Conflict and Crisis Research Centre in Sulaimaniya, Kurdistan (Iraq) and a research fellow at the Frankfurt Research Centre on Global Islam at the Goethe University Frankfurt in Germany. Khatib, Hakim (2015) Political Instrumentalisation of Islam in a Violent State Crisis: The Case of Syria. Journal of Applied Security Research: Routledge. Pages 341-361. Khatib, Hakim (2015) Impact of Perceptual Biases on Cultural Perception Towards the Other: The Case of Egypt vs. the European Union. Contemporary Arab Affairs: Routledge. vol. 8, No. 4. Pages 505-523. Khatib, Hakim(2015) 2011 Tahrir Square Demonstrationsin Egypt: Semantic Structures That Unify And Divide. CyberOrient. Vol. 9, Iss. 2. All articles below originally appeared in MPC Journal. Khatib, Hakim (2018): Atheists in Muslim Majority Countries: Between Inclusion and Exclusion. Egyptian Streets. May 15. This article has also featured on Sicherheitspolitik-Blog, Eurasia Review and Mashreq Politics & Culture Journal. Khatib, Hakim (2017) Atheism in Saudi Arabia: God’s own country. Qantara.de. July 03. This article was also published by Eurasia Review, International Policy Digest under the title: Taboo of Atheism in Saudi Arabia. Khatib, Hakim (2017) Nexus between waning regime’s power and influence of militants in Syria. Orient News. April 25. Khatib, Hakim (2017) Escaping military conscription: One way of opposing Assad. Orient News. April 16. Khatib, Hakim (2017) Syrian children remain under fire. Orient News. April 07. Khatib, Hakim (2017) Russia-affiliated foreigners fighting for Assad. Orient News. March 24. Khatib, hakim (2017) Assad’s heavy reliance on foreigners continues to soar. Orient News English. March 17. Khatib, Hakim (2017) Assad and the rise of ISIS. Orient News. March 10. Khatib, Hakim (2017) Why global Jihadism remains notoriously in spotlight today. Orient News. March 02. Khatib, Hakim (2017) Radicalisation in Europe: Between prevention and instrumentalisation of religion. Eurasia Review. February 21. This article also appeared in International Policy Digest, Orient News and EastWest.eu. Khatib, Hakim (2017) Controversy Of Islamist Politics On Other Belief Systems – Analysis. January 23. Eurasia Review. This article also appeared The Arab Daily News. Khatib, Hakim (2017) Competition over Ideological Power in Egypt. January 03. International Policy Digest. Khatib, Hakim (2016) Aleppo: Meltdown of Humanity. December 15. Muslim Mirror and Politics of West Asia and North Africa. This article also appeared in Eurasia Review under the title Aleppo: Symbol Of Action And Inaction and in International Policy Digest, The Jerusalem Post and Daily Hunt News. Khatib, Hakim (2016) Could Integration Prevent Radicalization Of Muslim Youth?. November 01. Eurasia Review. This article also appeared in The Daily Journalist, International Policy Digest, East Online, Daily News Egypt and Sicherheitspolitik. This article was reprinted by the Latest African News. Khatib, Hakim (2016) Perfect Assassination of Jordanian Writer. September 28. Muslim Mirror. This article also appeared in International Policy Digest, Almasdar News, Sicherheitspolitik and Eurasia Review. This article also appeared in Secular World magazine. Fourth Quarter 2016, pp. 10-1. Khatib, Hakim (2016) Turmoil in the Middle East: Regional Dimensions Beyond Religion. August 24. Almasdar News. This article also appeared in Eurasia Review on August 25.This article featured in Sicherheitspolitik-Blog, International Policy Digest and The Daily Arab News. This article was reprinted by Indian Strategic Studies. This article was reprinted by Journal Digest. This article was reprinted by Blogarama. Khatib, Hakim (2016) Why don’t they rebel. Muslim Mirror. July 02. Khatib, Hakim (2016) Terrorist attacks in Brussels – a clash of what?. Qantara.de. March 23. This article was also featured on Eurasia Review, International Policy Digest, Sicherheitspolitik and Middle East Monitor. Khatib, Hakim (2016) Beyond asylum: Syrian artists in Europe. March 02. YME. This article was also featured on International Policy Digest on March 03 under the title: Art Beyond Asylum. It also apeared on Eurasia Review. Khatib, Hakim (2016) Egypt Trapped in Transformational Process? Mashreq Politics & Culture Journal. April 13. Khatib, Hakim (2016) Saudi Arabia And Iran Rivalry Not About The Victim But The Aggressor. January 30. Eurasia Review. This article was also featured on Sicherheitspolitik-Blog, The Daily Journalist, Muslim Mirror and International Policy Digest. This was also republished in The Daily Asian Age on January 31 under the title: Saudi and Iran rivalry turns sharp. Khatib, Hakim (2016) Saudi Political Intolerance. January 24. Eurasia Review. This article was also published by Muslim Mirror and by International Policy Digest on January 26. It was also featured on The Daily Journalist. Khatib, Hakim (2016) Egypt’s controversial blasphemy law strikes down on free Islamic thought. January 06. YME. This article was republished by Eurasia Review on January 07 under the title The controversy of blasphemy in Egypt, by Egyptian Streets on January 08 and printed by Egypt25 on January 08. This article was republished by The Jerusalem Post on January 09, by Sicherheitspolitik-Blog on January 15, by The Daily Journalist on February 02, and by International Policy Digest under the title Don’t Blaspheme in Egypt on January 15. This article was reprinted by The Asian Age. Khatib, Hakim (2016) Breaking the taboo. January 06. Qantara.de. Khatib, Hakim (2016) The Taboo Of Atheism In Egypt – OpEd. January 02. Eurasia Review. This article was published by International Policy digest on January 23, The Daily Journalist on February 04 and Patheos – The Secular Spectrum on February 04. This article also appeared in The Secular World Magazine. Second Quarter: 2016. pp. 17-18. Khatib, Hakim (2015) Redefining the “Syrian” conflict. November 11. Qantara. This article was reprinted by Journal Digest. Khatib, Hakim (2015) What is Syrian about the Syrian war?. November 02. Daily News Egypt. This article was published on November 02 under the title What’s Syrian about the Syrian war? by The Jerusalem Post. This article was also published on October 29 under the same title by Eurasia Review. This article was republished by Masress News on February 11. Khatib, Hakim (2015) The struggle over ideological power in the Middle East. October 18. Daily news Egypt. This article was republished by Masress News on October 19. Khatib, Hakim (2015) Unlike Europe Culture In Middle East Is More Ascriptive – OpEd. September 16. Eurasia Review. This article was reprinted by Journal Digest. Khatib, Hakim (2015) Is Syria Heading towards a Sunni Version of the Islamic Republic of Iran?. September 09.George Mason University: History News Network. Khatib, Hakim (2015) The Middle East: Compliance with Authoritarian Exploitation. September 08. The Daily Journalist. This article was republished on 09 September 2015 under the title Why People Comply With Authoritarian Exploitation In The Middle East – OpEd by Eurasia Review. This article was republished on 25 October 2015 under the title Why People Comply with Authoritarian Exploitation in the Middle East by The Media Line. Khatib, Hakim (2015) The instrumentalisation of religion. August 26. Qantara. Khatib, Hakim (2015) The Struggle Over Ideological Power In The Middle East – OpEd. August 25. Eurasia Review. This article was republished under the same title on August 26 by The Daily Journalist. This article was republished under the same title on September 15 by Sicherheitspolitik. Khatib, Hakim (2015) Syria’s future as a Sunni-flavoured Iran. August 13. YME. This article was printed under the title Is Syria doomed to become Sunni version of Theocratic Iran? by Juan Cole on Informed Comment on August 17. This article was republished under the title Syria looks set to become a Sunni-flavored Iran by Jerusalem Post on August 19. This article was printed by The Zero Room on August 17. Khatib, Hakim (2015) Syria’s Present Anticipates A Future Sunni-Flavoured Iran – OpEd. August 12. Eurasia Review. This article was republished on August 13 by Sicherheitspolitik under the same title. Khatib, Hakim (2015) Egypt’s Cardinal Problem In Sinai – OpEd. August 02. Eurasia Review. Khatib, Hakim (2015) Why Islamic Scholars Say No To The Universality Of Human Rights – OpEd. July 25. Eurasia Review. This article was printed under the same title by The Bangladesh Chronicles. This article was featured in Muslim Mirror on 16 February 2016. This article was also printed by Alameen Post on 23 February 2016. Khatib, Hakim (2015) Regime’s Barrel Bombs on Rebel-Held Areas Still Kill. July 21. Sicherheitspolitik. Khatib,Hakim (2015) Relationship Between The Student Movement And The State Of Egypt – OpEd. July 19. Eurasia Review. Khatib, Hakim (2015) Why Despotism Is Not The Solution For Egypt‏ – OpEd. July 17. Eurasia Review. This article was republished by The Media Line News under the same title on 22 July 2015 and by Sicherheitspolitik-Blog on 04 August 2015. Khatib, Hakim (2015) ISIS: A wake-up call for Muslims all over the world. July 02. The Jerusalem Post. This article was printed by Center for Geopolitical Analyses at New York College and by Guyana News under the same title. Khatib, Hakim (2015) The true role of religion in the Middle East. June 30. Jerusalem Post. This article was printed under the same title by The United Jerusalem Foundation. Khatib, Hakim (2015) Why the rise of ISIS could be a wakeup call for Muslims all over the world. June 30. The Media Line News. This article was printed under the title Could Islamic State’s Rise Be Chance For Real Reformation Of Islam? – Oped on 05 July 2015 by Eurasia Review. This article was featured on Sicherheitspolitik-Blog and International Policy Digest under the title: ISIS: Muslims’ Chance for Reformation?. This article was featured on Qantara.de under the title: What chance a Muslim reformation? Khatib, Hakim (2015) The Myth of Middle East Politics Today Is that It’s All About Religion. June 21. George Mason University: History News Network. Khatib, Hakim (2015) Why Ideological Vie For Power In The Middle East Doesn’t Work – OpEd. June 8. Eurasia Review. Khatib, Hakim (2015) Sectarian Divide in the Middle East and Politics. June 9. Sicherheitspolitik. Khatib, Hakim (2015) The Political Instrumentalization of Islam in the Middle East. May 14. Fragile States. Khatib, Hakim (2015) ISIS Members Went to the Same Mosques and They Received the Same Religious Messages as the Rest of the Community. March 31. New Age Islam. Khatib, Hakim (2015) Why the rise of the Islamic State could be a chance for a real reformation of Islam. March 31. Your Middle East. This article was republished by Al-Bawaba News on Aril 2, 2015 under the title: Why the rise of Daesh could be a chance for Islam’s real reformation. Khatib, Hakim (2015) Mobilisation and Contestation Between Egyptian Student Movement and the State. April 08. Sicherheitspolitik-Blog. Khatib, Hakim (2015) Bounded Rationality and the Muslim Brotherhood in Egypt: Maximisation of Self-utility or Public Interest. April 14. Sicherheitspolitik-Blog. Khatib, Hakim (2015) Politics Matter in the Middle East and So Does Religion: Forms of Political Instrumentalisation of Islam. May 5. Sicherheitspolitik-Blog. This article was republished by Eurasia Review under the same title on 05 July 2015. This article was printed by News Central on 06 July 2015. Khatib, Hakim (2015) How Stereotypes Serve Propaganda Rhetoric in the Middle East. Mashreq Politics & Culture Journal. April 03. Khatib, Hakim (2015) The Middle East Enjoys a High-Context Culture While Europe Does Not. Mashreq Politics & Culture Journal. March 29. Khatib, Hakim (2015) Avijit Roy: We Are United in Our Grief and We Remain Undefeated. Mashreq Politics & Culture Journal. March 10. Khatib, Hakim (2015) Unlike Europe Culture in the Middle East Is More Ascriptive. Mashreq Politics & Culture Journal. February 23. Khatib, Hakim (2015) Norwegian Muslims Form a Ring of Peace Around a Synagogue to Support Jews. Mashreq Politics & Culture Journal. February 22. Khatib, Hakim (2015) Unearthly Leaked Recordings of Egypt’s President Are Revealed. Mashreq Politics & Culture Journal. February 17. Khatib, Hakim (2015) Islamic State Burns Jordanian Pilot Alive. Mashreq Politics & Culture Journal. February 04. Khatib, Hakim (2015) Go Back to Allah! You Are Full of Sh..t!. Mashreq Politics & Culture Journal. February 15. Khatib, Hakim (2015) There Are Terrorist Elements in Syria Said Egypt’s President. Mashreq Politics & Culture Journal. February 11. Khatib, Hakim (2015) Egypt: Has the 25 January Revolution Reached Its Goals? Mashreq Politics & Culture Journal. January 26. Khatib, Hakim (2015) May Allah Accept the Attackers of Paris in Paradise? Mashreq Politics & Culture Journal. January 19. Khatib, Hakim (2015) We Join the Paris Unity Rally but We Embrace a Different Kind of Freedom. Mashreq Politics & Culture Journal. January 16. Khatib, Hakim (2015) Charlie Hebdo Tragedy: Is It Islam or Denial of Muslims? Mashreq Politics & Culture Journal. January 15. Khatib, Hakim (2015) Tolerance Is the Only Policy That Holds. Mashreq Politics & Culture Journal. January 06. Khatib, Hakim (2014) Politics Matter in the Middle East and So Does Religion: Forms of Political Instrumentalisation of Islam. Mashreq Politics & Culture Journal and WANA Politics. September 21. Khatib, Hakim (2014) Bounded Rationality and the Muslim Brotherhood in Egypt. Mashreq Politics & Culture Journal and WANA Politics. April 14. Khatib, Hakim (2014) Iraq: Oil Abundance and Religion Instil Division and Instability. Mashreq Politics & Culture Journal and WANA Politics. June 07. Khatib, Hakim (2014) Wahhabi Clerics Reject the Un-Islamic? Mashreq Politics & Culture Journal and WANA Politics. March 20. Khatib, Hakim (2014) Has Your Proper Name Been Banned in Saudi Arabia?. Mashreq Politics & Culture Journal and WANA Politics. March 15. Khatib, Hakim (2014) Some Muslim Clergymen Know It All. Mashreq Politics & Culture Journal and WANA Politics. March 02. Khatib, Hakim (2014) Mobilisation and Contestation Between Egyptian Student Movement and the State. Mashreq Politics & Culture Journal and WANA Politics. February 21. Khatib, Hakim (2014) The Sun Still Orbits Earth and a Colony on Mars Is Un-Islamic. Mashreq Politics & Culture Journal and WANA Politics. February 19. Khatib, Hakim (2013) Islamists in Power: Easy Come, Easy Go!. Mashreq Politics & Culture Journal and Institute for Cultural Diplomacy. Khatib, Hakim (2012) Egyptian Awakening and the European Union: A Brief Historical Review. Mashreq Politics & Culture Journal and WANA Politics. August 07. Khatib, Hakim (2012) A Year Into Change: Mapping the Arab Uprisings. Mashreq Politics & Culture Journal and WANA Politics. February 22. Khatib, Hakim (2001) Dear Mr. President. Mashreq Politics & Culture Journal. April 08. Khatib, Hakim (2011) Allah Changes Not the Condition of a People Until They Change That Which Is in Their Hearts. Mashreq Politics & Culture Journal and WANA Politics. January 02.